New! Full-color map of Wisconsin public school district and CESA boundaries, updated in 2018. Size: 36″ x 24”. No. 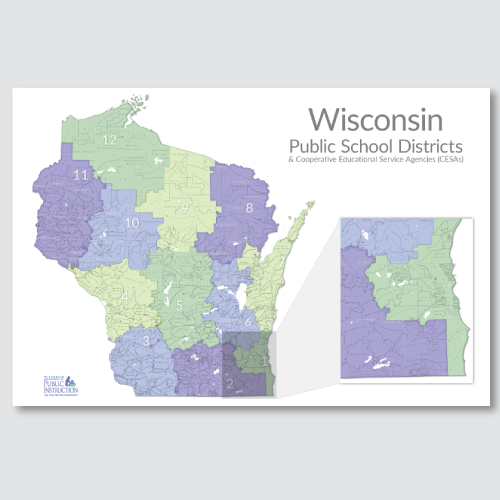 16001, 2018, 1 p.
Single-sided full-color map of Wisconsin public school district and CESA boundaries. Size: 36″ x 24”.